The Chaco Trailscope Waterproof Shoe represents the brands foray into production of well-rounded, functional light hikers. The Trailscope lands precisely in the middle ground of performance and technology among the shoes we tested. 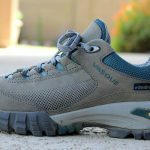 But if you’re looking for a comfortable, fairly beefy shoe that can be worn from trail to table or even office, the Trailscope is a reliable choice. 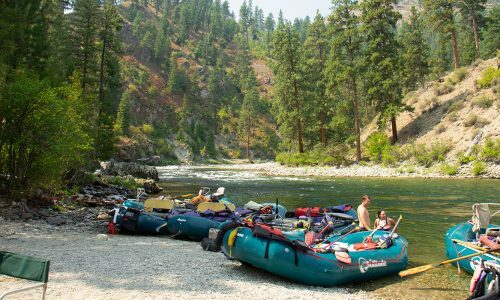 I would never turn down a Chaco river sandal; in fact the brand is almost always my top choice for raft trips—and some people may end up feeling the same way about the company’s trail shoes. Having more recently moved into the closed-toe, four-season market, Chaco is producing well-rounded, functional light hikers for what I might call the general population. 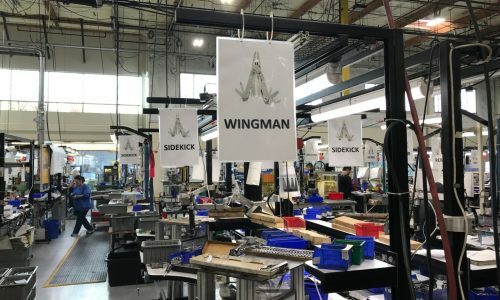 There’s nothing wrong with them, they just tend to land in that middle ground of performance and technology currently available in the light hiker space and of what we tested. But if you’re looking for a comfortable, fairly beefy shoe that can be worn from trail to table or even office, the Trailscope is a reliable choice. The 25-percent recycled rubber EcoTread outsole is a nice feel-good touch. The Trailscope is made waterproof by a seam-taped proprietary waterproof bootie—the non-waterproof version was not tested. 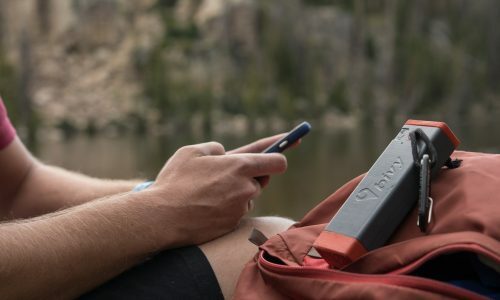 The wide, soft platform of the Trailscope does lend a feeling of stability. The PU footbed seems to nestle in to EVA midsole, fully supporting the foot, and with good arch support. 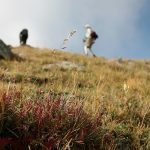 I felt confident hiking on variable, wet clay or sandy terrain. The Chaco Trailscope shoe offers solid protection all the way around, except for the potentially soft, somewhat open weave mesh and suede parts of the upper; those aren’t exactly bombproof, but do lend a soft hand. The front toe bumper is slightly larger than standard and certainly does the job for all normal usage. 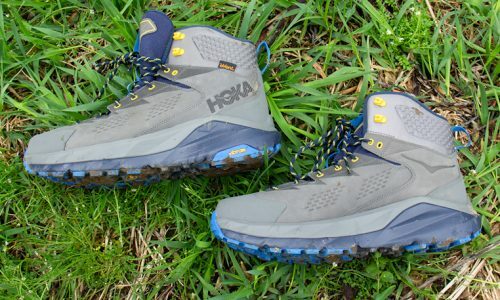 It’s a traditional looking trail shoe, and even though there’s a decent amount of material here, the mesh upper is not what I would call the most protective. The Trailscope would not be my first choice for a lot of hard-edged rock scrambling. 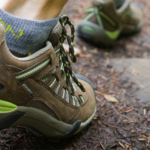 The Trailscope provides superior comfort, and support, with a cushy upper cut just under the ankle. I would definitely stand all day in the Trailscope shoe. The cushioned upper, midsole and footbed are all pretty plush, as they are intended to be by Chaco. The construction of Chaco’s Trailscope shoe stood up to our testing well. I found the shoe a bit heavier than other, similarly built shoes, likely due to the wide outsole and its burly lugs (5 mm lug depth). There’s also an ESS shank in the midsole that adds to the overall stability, both laterally and front to back, but it’s not what I consider stiff. 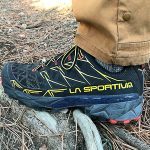 Having hiked and played outside in these shoes quite a bit, the Trailscope scores fairly low on the performance scale when compared to some of the other shoes in the test. Overall they perform very well for what they are. 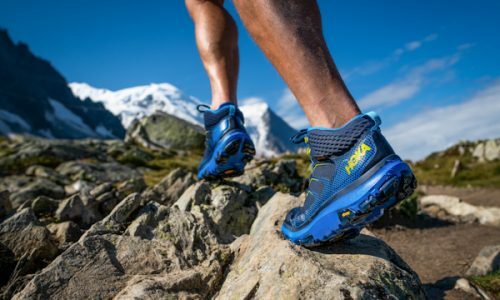 They hike and walk well; the Trailscope is just not a high-performance machine, nor is it a crossover trail runner or approach shoe, like some of these hikers tend to be. The outsoles require a bit of scuffing up to feel more confident on all trail conditions.